The Chinese smash hit comes to UK DVD and digital next month. 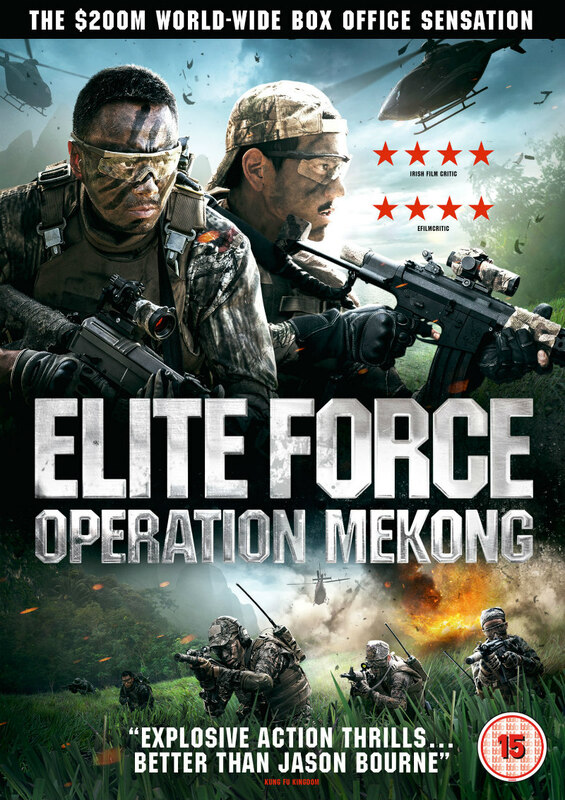 Having grossed over $170 million at the Chinese box office, director Dante Lam's action-fest Elite Force: Operation Mekong comes to UK courtesy of Cine Asia on VOD on July 3rd and DVD July 17th, following screenings at the Edinburgh Film Festival on Thursday 29th June and Sunday 2nd July. Following a sudden international crisis when Chinese commercial vessels are ambushed on the Mekong River, an elite team of narcotic officers are dispatched to the Golden Triangle region, on evidence the attack resulted from a notorious drug cartel operating in the area. Led by Captain Gao Gang (Zhang Hanyu), who partners with intelligence officer and undercover specialist Fang Xinwu (Eddie Peng), this team embarks on a death-defying mission to bring the ultimate takedown of a ruthless drug lord. With ferocious action direction from Tung Wai (Bodyguards and Assassins, Saving General Yang), Operation Mekong is an explosive tale of comradeship and conquest.